A good friend of mine was my personal teacher when it came to learning about my four dogs’ poo. 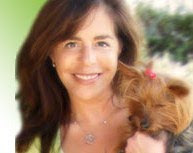 Leslie May is the founder of a web site and company called “Raise a Green Dog”. She has many great tips but I thought we’d start off with three ideas. But first, did you know it is estimated that there are over 74 million pet dogs in the US and each poops on average ¾ of a pound per day. It is also believed that 40% of dog owners do not pick-up after their dogs. Multiply all that together and you’ve got roughly 4 million tons of raw sewage polluting vital water resources every year. 1. It is a great idea if you are able to pick up your dog’s poo with a scooper or can get it to the toilet using toilet paper and gloves (I do it this way) to just FLUSH IT! This is very simple because our septic systems and the city sewer systems are set up to handle waste -- which is all dog poo is, of course. This is not very hard to do and I find it to be the fastest way to clean up my yard at the end of every day. 2. Should flushing waste not be an option for you, consider an “in the ground” dog septic system that is widely available today. They have been around for years and again they are easy to use. The most difficult part about them is digging the hole. It works like an underground trash can with a top that you step on with your foot to drop the waste in. Then you add some natural ingredients (purchased with the device) which just like our septic systems consist of little microbes that help to break up the waste. It will then slowly either dissolve into fertilizer or be absorbed by the ground. These are obviously totally environmentally friendly options vs. filling up our landfills. 3. I have not tried this one personally but just like food composts you have probably heard of or manure composts which you see around every barn--you can do the same thing with your dog’s waste. Find an area or dig a small ditch where you can continually dispose of the poo. As it piles up it is breaking down, also – so the pile tends to get to a certain size and stay that way. It is very important in today’s overflowing world of non-biodegradable plastics to find another way to dispose of poo – so consider the above. As a last resort if you are in a park or traveling find and use only biodegradable poo bags. They cost a little more but at least they break down faster than regular plastic. Make a difference today!